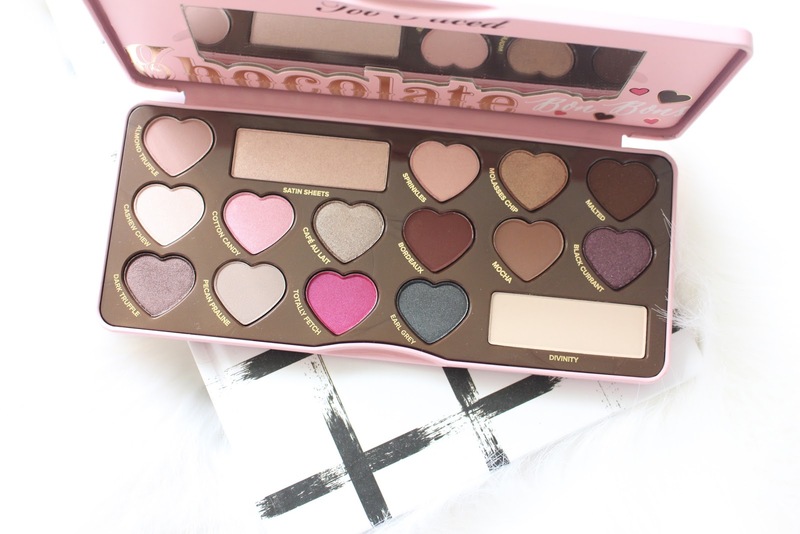 A baby pink heart shaped eyeshadow palette? Um, yes please! 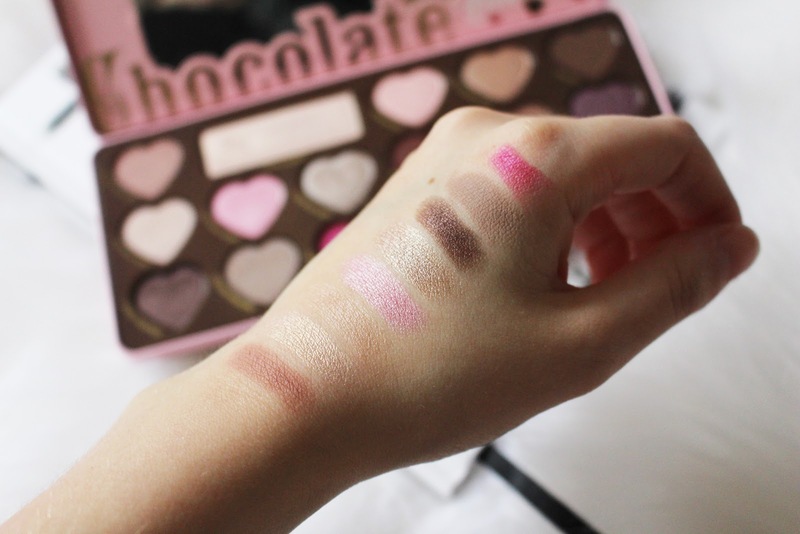 Admittedly, everyone and their dog have been raving about this palette and, as usual, I'm late to the bandwagon. I don't actually mind this too much though because I bet there's a few more of you out there who are like me and probably didn't have the money as soon as it first released - so this post is for you guys who still haven't managed to get your paws on it yet (and anyone else who fancies a read). 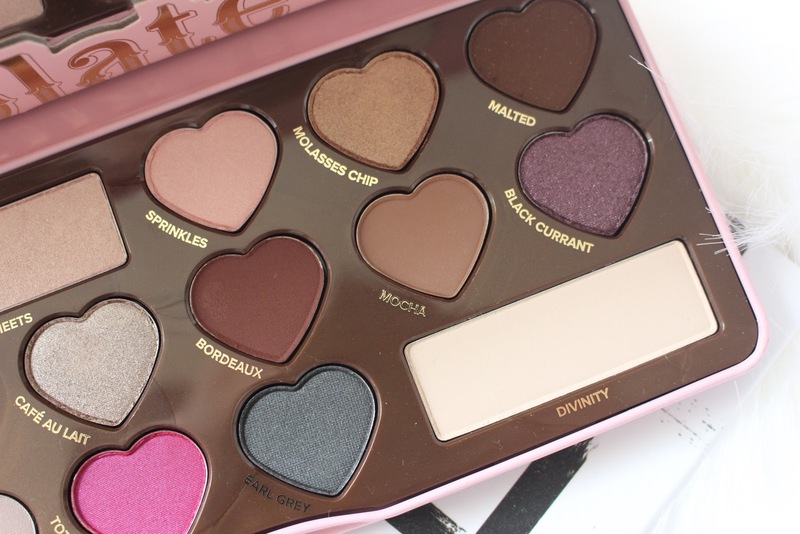 When you first open the lid you are greeted with the most magnificent smell of chocolate (think cadbury mini eggs) and then you are hit with the gorgeousness of the shades within this palette. 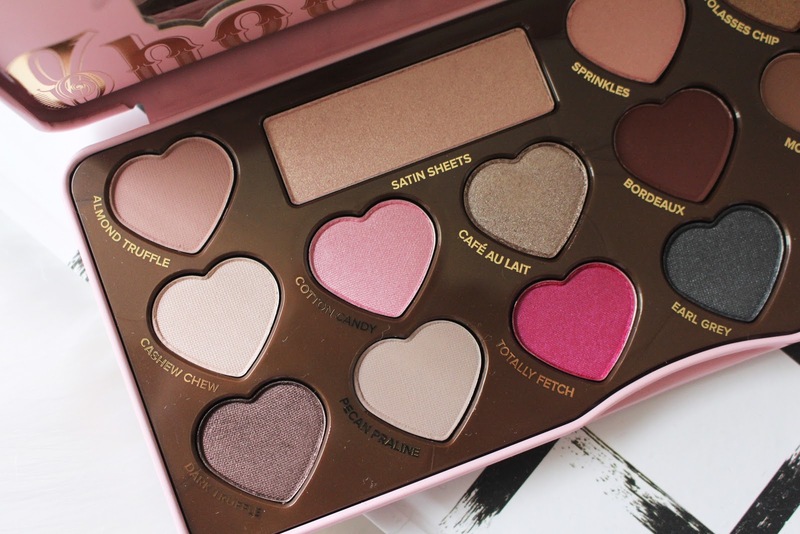 Now, I definitely did not need another eyeshadow palette but as soon as I saw Catherine's review on this palette, I just knew that I had to get my hands on it. Luckily for me I received two £15 Debenhams vouchers for Christmas which meant I only paid £10 for this beauty! 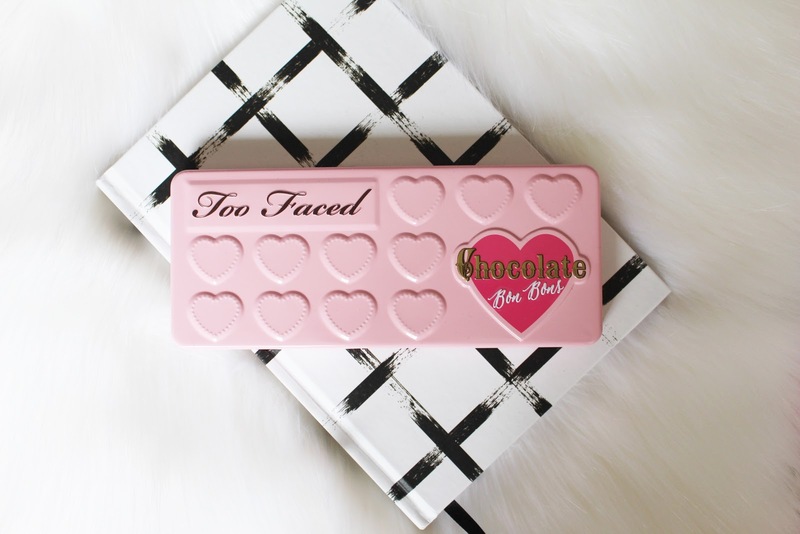 Too Faced describe this palette as 'a candy-coated confection of heart-shaped delights' which is just the perfect description. 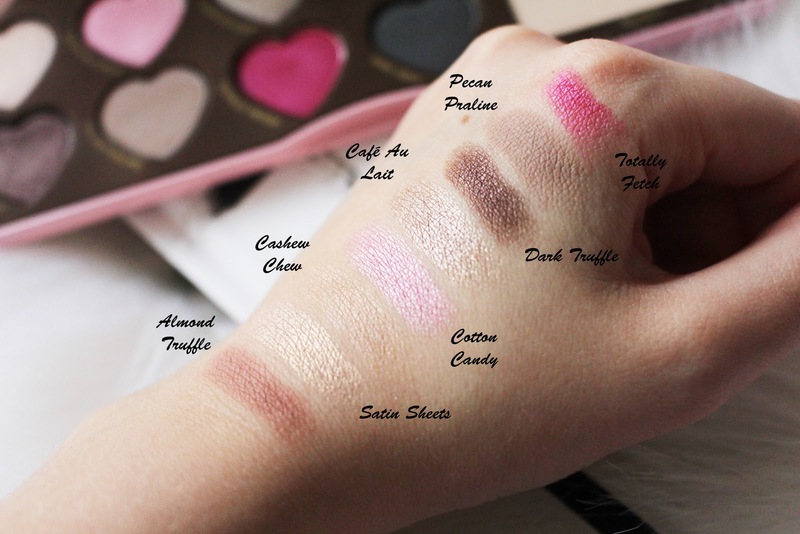 Included are 16 matte and shimmer shades - mainly neutrals with a few pops of colour. 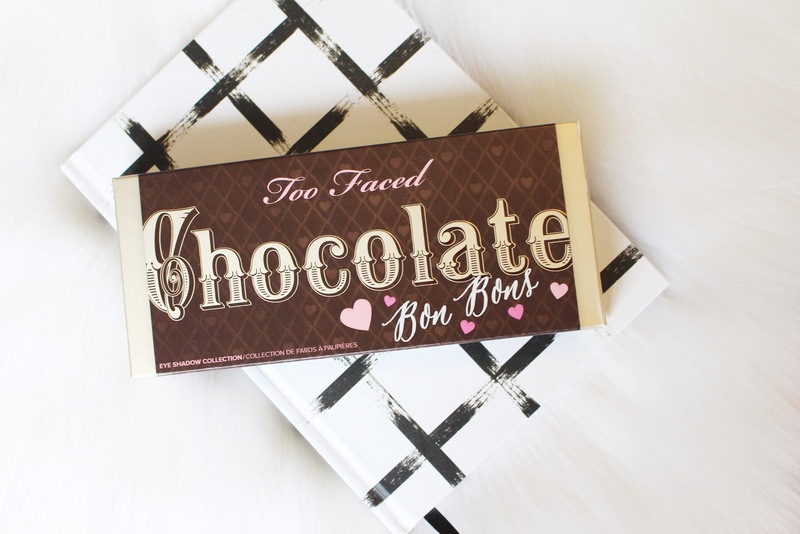 I now own two out of the three cocoa infused 'chocolate' palettes by Too Faced and they have really impressed me. I highly recommend them to anyone. 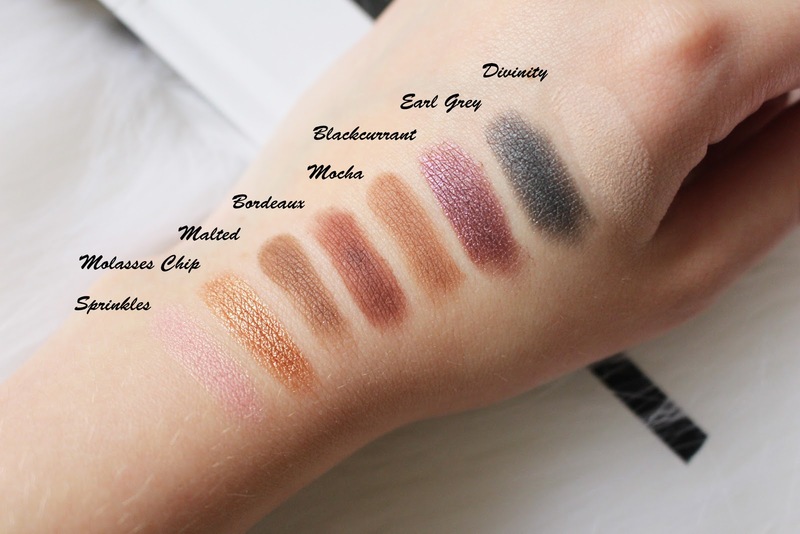 The Chocolate Bon Bon's palette is perfect for everyday wear with it's many different neutrals and the shimmer shades within the palette will definitely see you beautifully into the evening! I know to most people that Totally Fetch looks a little daunting, but during the Summer months it would look great smudged underneath the lower lash line for a pop of colour. You could also blend this shade out in the crease underneath some other neutral shades for a very subtle pink smokey eye. 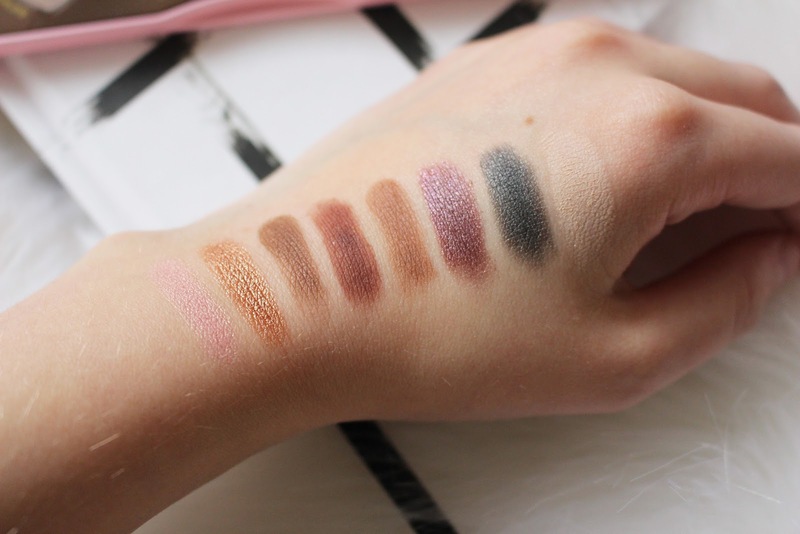 It's safe to say that I'm totally o b s e s s e d with this eyeshadow palette and you all need it in your lives!